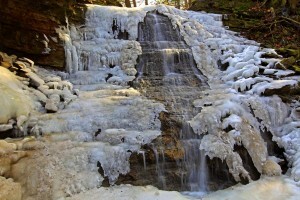 Shaver Falls is a Complex Ribbon Cascade located on a tributary of the Ancaster Creek. Its height is 8 metres (26 feet) and its crest width is 3 metres (10 feet). 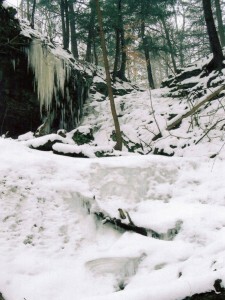 It experiences strongest flow during seasonal rains and during the winter snow melt. 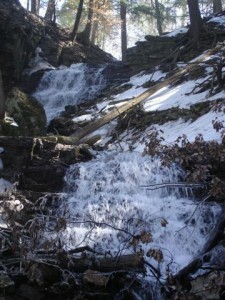 Shaver Falls was first brought to the attention of the Hamilton Waterfall Group when it was seen on Ray Love’s website. 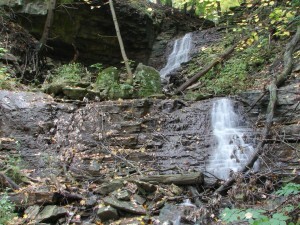 Love referred to it as Wilson Falls. 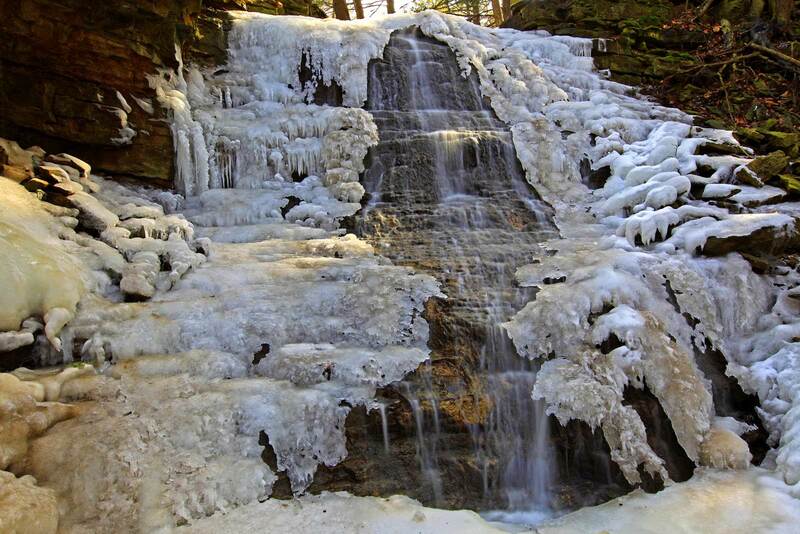 Shaver Falls is located in between Filman Road and Wilson Street, thus the two alternate names that have been used to describe this waterfall, however in the 1800’s the Shaver family owned this property and it was called Shaver Falls at that time, thus the correct name. 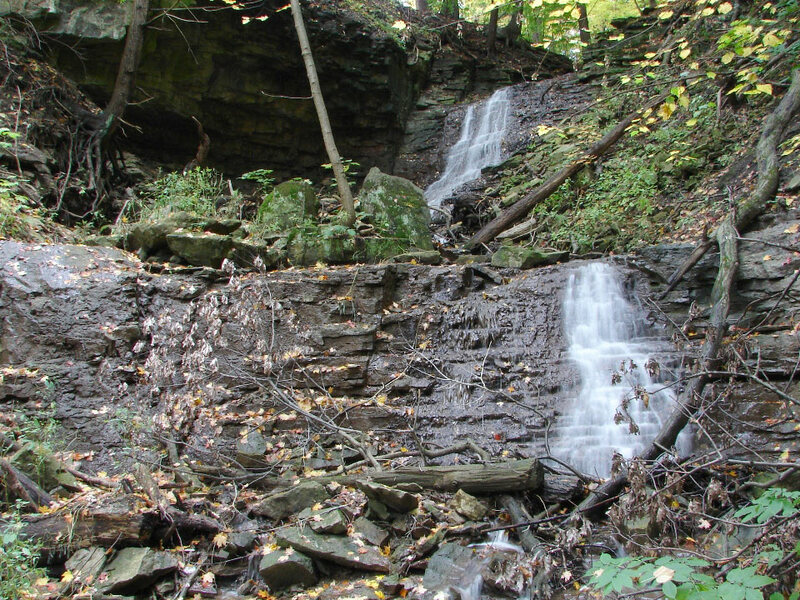 To reach Shaver Falls, Park at the Tiffany Falls Conservation Area on Wilson St. and walk down Wilson St. to the Bruce Trail. 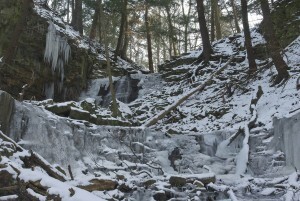 Follow the Bruce Trail up the escarpment on the east side. 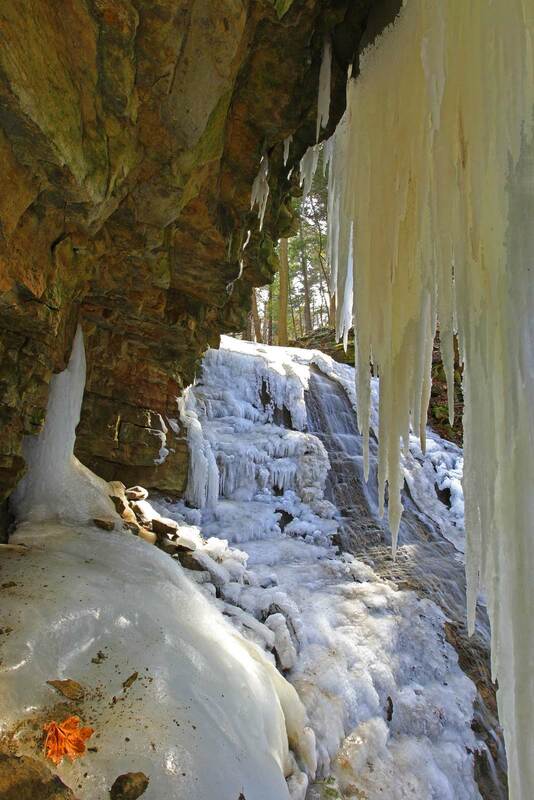 When you reach the ravine, follow the ravine upstream to Shaver Falls. 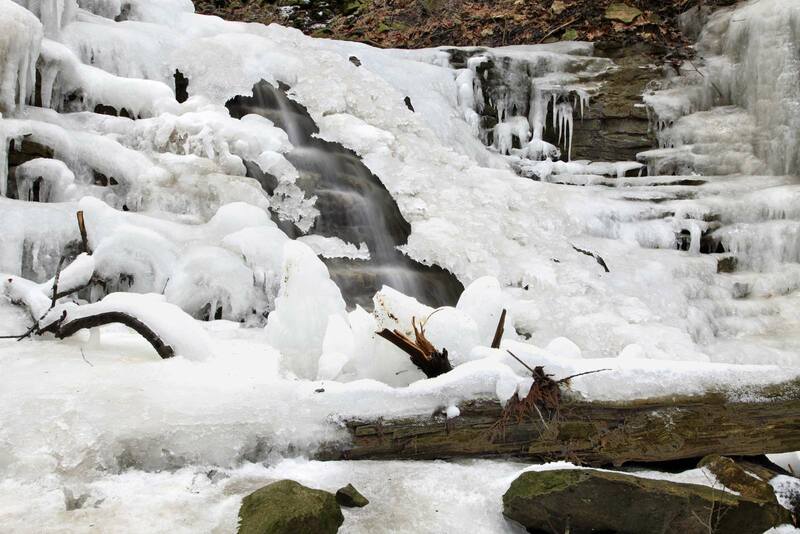 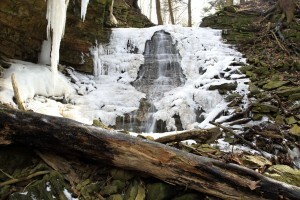 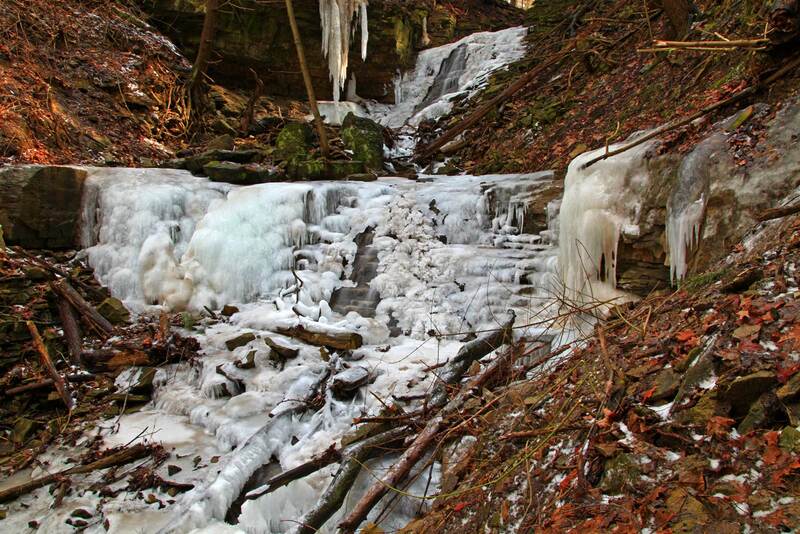 At present there is no trail, however the Bruce Trail Iroquoia Section is in the process of planning and possibly constructing a side trail to this waterfall. 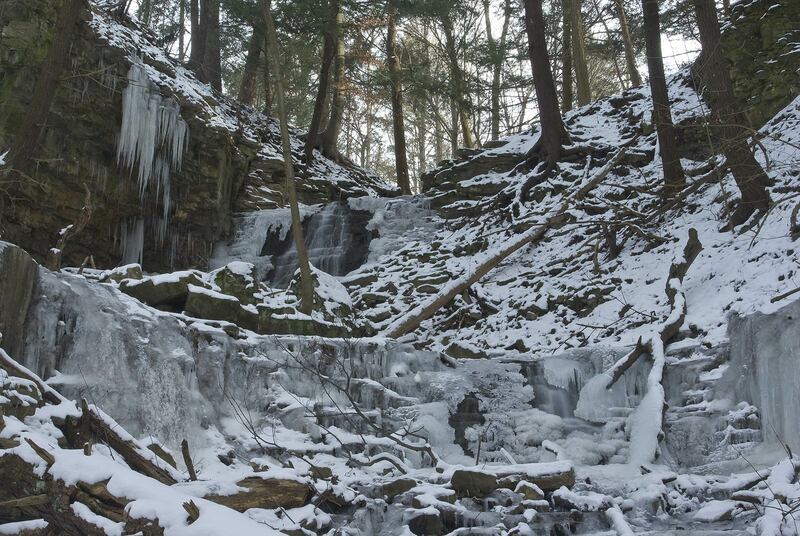 Another way is to park at the end of Filman Road in the small parking lot at the Bruce Trail entrance. 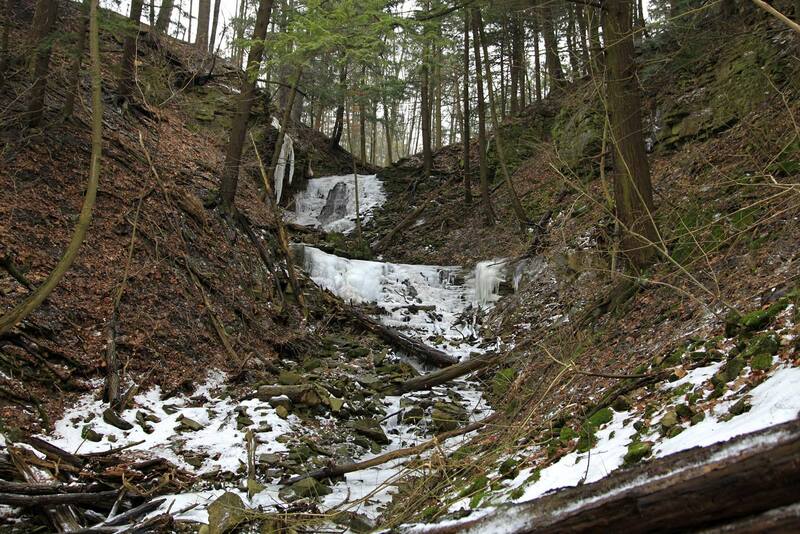 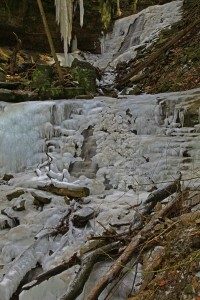 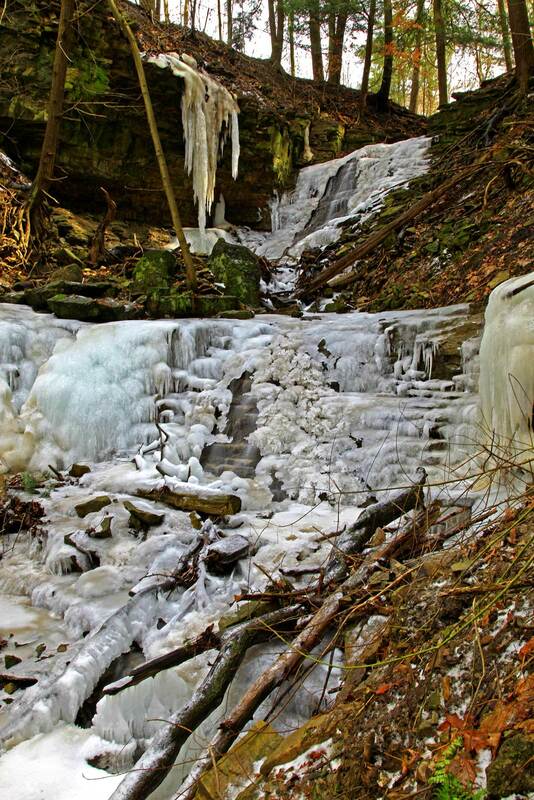 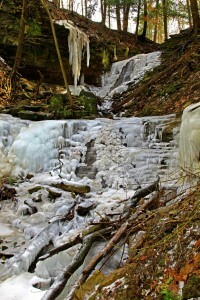 Follow the Bruce Trail till you come to the Y and take the right trail and watch for the falls on your left. This way is half the distance of the way mentioned on the Shaver page.